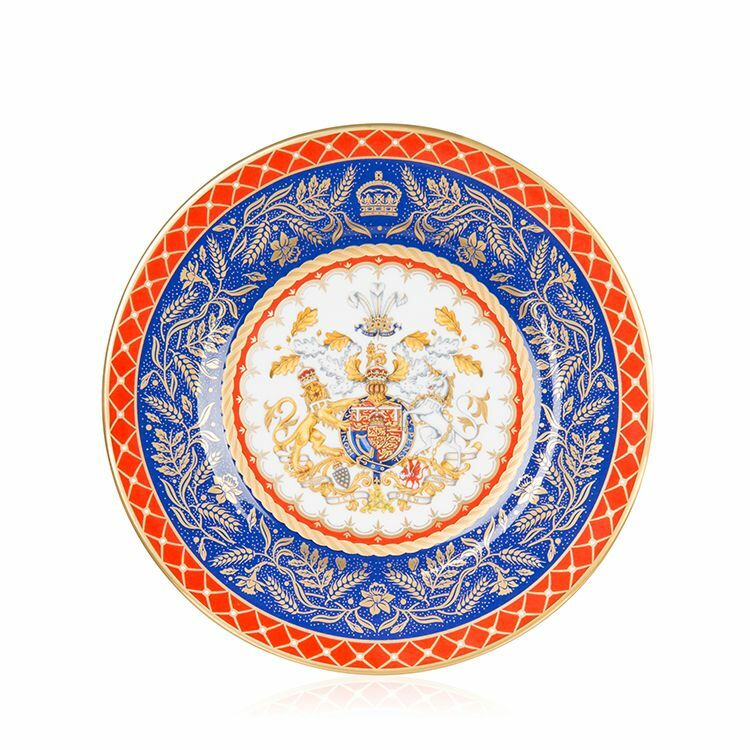 To celebrate the 70th Birthday of HRH The Prince of Wales, Buckingham Palace has commissioned this official range of commemorative English fine bone china. The coat of arms has been specially painted for the occasion. It includes the Duchy of Cornwall shield, The Prince of Wales Red Dragon badge and daffodils, the national flower of Wales and is surmounted by The Prince of Wales's feathers. 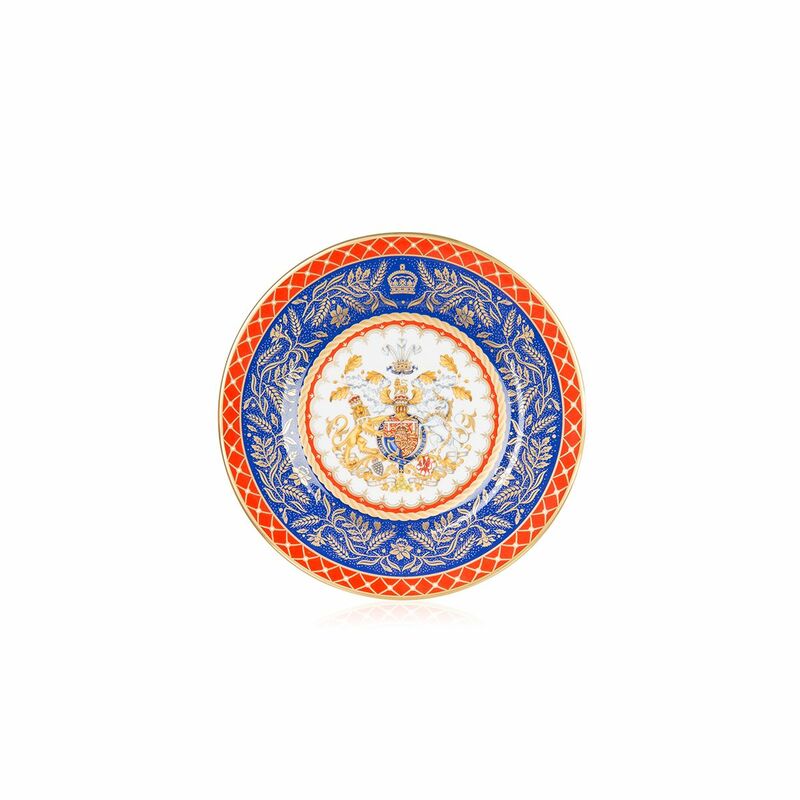 The borders depict various motifs representing the Prince's many and diverse interests.